I love any garment that feels like pajamas, but who doesn’t? There is a reason that the phrase “secret pajamas” freckles most sewing blogs. Fall is my favorite season. That may be because I can parade around in chunky cardigans that look stylish, but feel like a hug from a snuggly kitten. Oslo is just that kind of garment. Here at Colette studios we have been swooning over sweater knits and planning a closet full of Oslos. Here are our top picks for gorgeous sweater knits. Grey chalet sweater knit from Fabric.com is a lofty 2 x 1 rib knit that offers substantial stretch on the crossgrain, $10.98/yard. Chocolate french terry from Girl Charlee is a casual and light weight french terry with a low pile, $7.50/yard. Rose rib knit from Fabric.com is light weight rayon rib knit, $5.48/yard. Pewter wool blend jersey from Mood is a lace-like open weave knit, $17.99/yard. Light blue wool mohair from Mood is a soft loosely woven sweater knit with floats that create a strip pattern, $19.99/yard. Classic cable sweater knit from Emma One Sock is a medium sweater weight with a soft hand, $19.90/yard. Dark green wool blend boucle from Mood is a textured knit with a soft and pliable hand, $24.99/yard. White novelty sweater knit from Mood is a light weight and soft sweater knit, $17.99/yard. 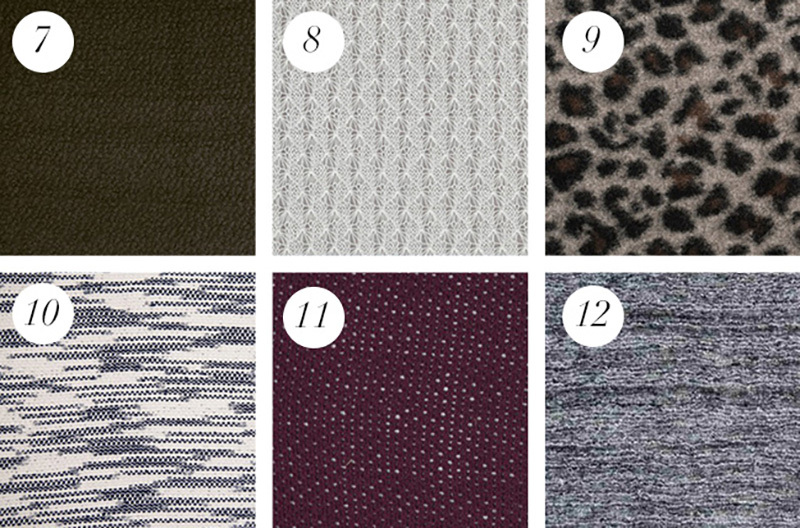 Leopard wool knit from Mood is a fleece backed wool knit with a fun leopard print, $34.99/yard. English blue novelty knit from Mood is a thick and flexible knit with a striking visual texture, $24.99/ yard. Eggplant heavy knit from Mood is a 100% cotton open weave knit, $9.99/yard. Variegated sweater knit from Emma One Sock is double knit with texture and body, $29.50/yard. I love this pattern, I just finished up my second version in a lovely charcoal ponte. For my next version I’m going to go with a more chunky knit. I like the Oslo pattern, too, but I thought the pattern of the month would be one of regular Colette patterns (I’m hoping for Macaron to round out my collection? Yay, I’m happy it is the Oslo! Thank you for the pretty fabric suggestions! Oh! I actually made Oslo in fabric #1, the chalet knit from Fabric.com! I bought an ivory version. It is a heavier knit, very warm and a nice one for winter’s colder days. It’s a good choice for this pattern and I just love how my Oslo turned out! Love the Oslo pattern. Anyone have tips for sourcing sweater knits in the UK? I spent some time researching sources for sweater knits in the UK, but had a hard time turning anything up. 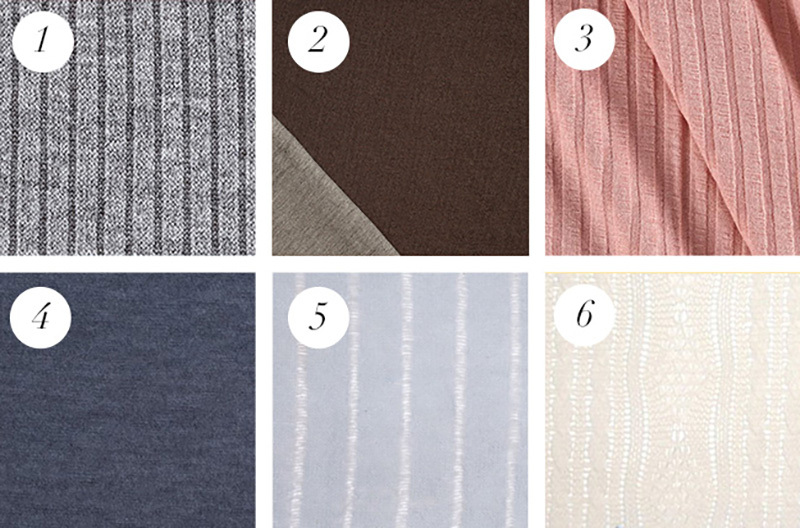 Fabric Godmother has some really pretty Ponte de Roma and wool jerseys that would be lovely for Oslo. So you feel my pain! Don’t know why they are so hard to find here. oh do i love winter and cardigans and jumpers and the cold! What makes a knit fabric a ‘sweater knit’?? What are the attributes of a sweater knit that differentiate it from other types of knits? Here in Australia we have access to some beautiful 100 percent merino wool knits, and although being warm, they are usually quite light/ thin with not a great deal of body. I think that the drape may be too limp for the Oslo. I don’t believe that the term ‘sweater knit’ is used widely in fabric stores here, and I would prefer to buy locally rather than online, so would be glad of any tips on a suitable weight to purchase for the Oslo. Thank you for making it the pattern of the month – I have been keen to try it since receiving the Seamwork magazine in which it was featured…. This is great incentive! Sweater knit is a term used to describe knits designed to look like hand-knitted fabric. I don’t believe that wool jersey falls into that category, I do think it would be a great option for an Oslo cardigan. I recently saw some beautiful merino knit that had me contemplating making a similar sweater. I’ve also been wanting to make Oslo and haven’t been able to find any suitable fabric locally in Hobart. I was in Christchurch when it came out and despite heaps of merino knits there there wasn’t anything that I thought suitably cosy, but now wish I’d bought some lighter fabric there, sigh…. You could try http://www.tessuti-shop.com/collections/wool-knits. They have great fabric and sell online. Their shop in Flinders Lane is a real treat if you’re ever in Melbourne. They’re in Sydney too. Any ideas/advice for adding a hood to this cardigan? In order to add a hood to Oslo, you would want to draft the hood as an extension of the collar piece. This tutorial here does a good job of explaining how to draft a hood based on basic measurements. Instead of drafting a separate pattern piece like in the linked tutorial you will just be adding onto the collar of the Oslo. Good luck with your project. A hooded Oslo sounds so cozy!